EDIT 6/30/17: I AM SORRY ALL OF MY IMAGES JUST WENT DOWN!!! Photobucket is holding them hostage for a $400/yr ransom. Working on other options...please bare with my while I figure out a solution. This is going to be a huge nightmare to have to reupload all my images and then having to edit all my image links. Feel Free to E-mail me for photos/prices. Please PM me if you know of a free image hosting site that won't flag for 3rd party hosting. After much anticipation, I welcome you to the 2017 Super Sprint Group-Buy Mega Thread -- For ALL products and ALL Makes & Models. These need no introductions as many of you are already aware of that Super Sprint makes the best and highest quality headers and exhaust systems on the market for the E46 M3 platform, with years-upon-years of thorough independent documentation. Don’t take my word for it, there are tons of highly respected forum members that will vouch for the quality of SS headers and there is no shortage of documentation when googling reviews for specific items. Photobucket won't let me post pictures. PM for pricing. PLEASE NOTE: If you do not see the Supersprint item that you are interested in, please PM me. There are hundreds if not thousands of Supersprint items and for this reason, it is impossible for me to include them all, above. This Group-Buy is extended to Supersprint's full range of products and for all makes and models. So feel free to PM me if you are not seeing what you are looking for. What products does this GB include? Initially this was just going to be a header group-buy, but due to the significant interest in this GB, I am opening this up for massive discounts on all of Supersprint's full range of products, for ALL makes and models. What if I don’t see a SS product listed in the price chart above? Either comment or PM me and I will be happy to add the part to the page. How many people do we need to make this Group-Buy happen? 10+ total orders. They can be any combination of parts. I see some parts are listed as out of stock…How long is the wait? I am working on getting an approximate production time established. For now, I wanted to go ahead and organize a list of those interested. Shipping cost for single item or combined: Downpipe, Header, Front pipes/X-pipe, Rear muffler single(1-2 pipe system), Rear muffler dual(4 pipe system). * I am going to see if I can bring shipping costs down, particular for combined items. Stay tuned! UK Shipping: Shipping cost is $25 USD for the large parts and $15 USD for the headers, downpipe, ect. However, UK buyer's will have to pay VAT since these are coming from the EU. Buyers are responsible for paying Import-Duty Fees prior to or at the time of delivery. How do I pay the Import-Duty Fee? You can log into the below address and enter your waybill/tracking number. *this option will only be available once your package has entered the United States. So keep an eye on the tracking because if it is still in Germany then you will not be able to pay the extra duties. They are only calculated once it enters the US. I recommend using this link and paying this fee prior to your delivery date to ensure that your order will not be delayed. *Please beware that I have no control over duty fees or how they are calculated. It is the buyer's responsibility to understand how import duties are calculated in their respective country, particularly for those outside of the USA. Is the inventory in this Group-Buy limited like the last GB you organized? Nope. This GB is extended to as many products that there is demand for. Once I have a list of at least 10+, I will update with payment instructions and order invoices. Payment WILL NOT BE THROUGH THE SAME ROUTES AS MY OTHER Group-Buys have been. Because I have decided to open this GB up to other makes and models, the best way to contact me will be either PMing me via this forum, or you can e-mail me. I have setup a designated e-mail address just for these Group-Buys to keep everyting centralized and in order so nothing gets overlooked or missed. Great, add me to the list! What do you need to know? Either comment below or send me a PM. Please include your forum username and what product(s) specifically (part number) that you are interested in. Once 10+ are received, we will go from there. Let’s talk about the products, there are a lot of options available. Beginning with the Gold-Standard 'Holy-Grail" and thus far PROVEN king of all headers for the S54, the SS Stepped V1 header. These are the stepped-design headers from Supersprint that provide the highest gains from the entire Supersprint range. Thus far, no other header on the market provides the same amount of top-end power, without sacrificing low/mid range power. They require the Supersprint section 1 (cat or catless) or a custom section 1 to fit. Both SS Section 1’s are also available to add to your order with the GB price discount. Stepped designed much like the V1, only these headers are compatible with the stock section 1 or euro cats. 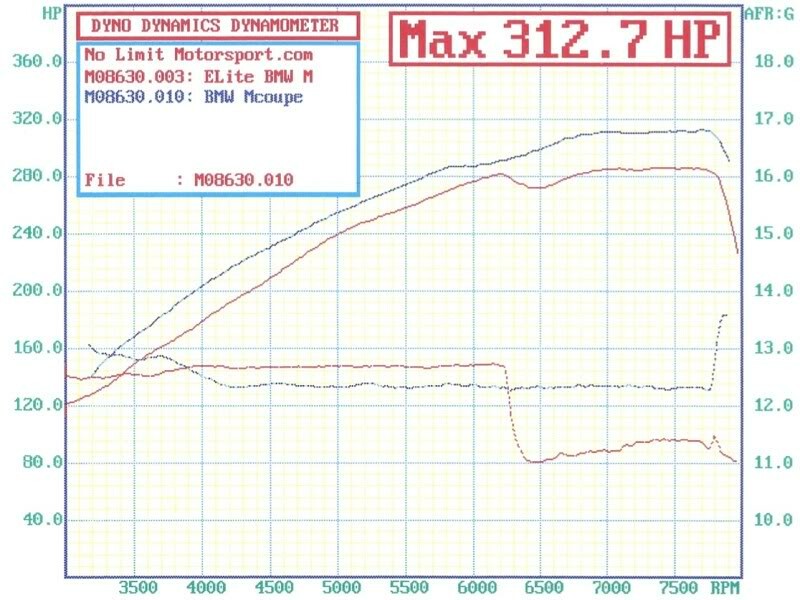 These headers provide gains throughout the entire rpm range much like the V1, however if you want to squeeze the absolute max HP out of your engine, stick with the V1 which provide a little more power throughout the rev-range compared to the V2. This patented design is quite unique in that it offers a smaller diameter primary tube that starts at the engines exhaust port and later increases to a greater diameter at a specific distance from the cylinder head. 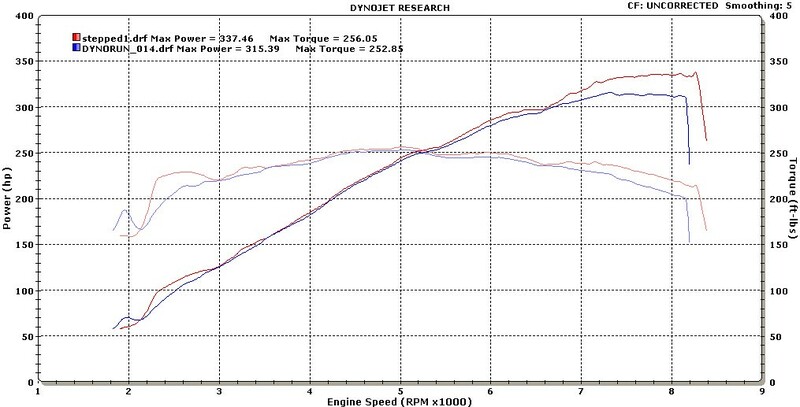 The result from the larger tube is maximum horsepower at high RPM, while the small tube maximizes low-end torque. Between the Euro headers and the SS Non-Stepped headers – Most after market headers copy one of these 2 designs for the S54. Proven gains over stock. Highest quality non-stepped bi-header system. At the price of these non-stepped headers, why go with another aftermarket brand that just copied the design? Required for SS Stepped V1 if you want to run catless. Required for the SS Stepped V1 if you want to run with cats. Simply put, HJS makes the BEST and highest flowing cats on the market. Pricing on cats typically have a linear relationship with how much precious metals were used to make them, which is why these command such a high price. FULL DISCLOSURE: I don't work for SuperSprint, nor am I being paid by SuperSprint. My goal is to bring the best headers that the market has to offer at affordable Group-Buy prices! *I reserve the right to update this post as things develop. Last edited by Dr M3an M3; Tue, Nov-13-2018 at 06:46:38 PM. Feel free to email me at: GroupBuyingPower@Outlook.com if you would like to be apart of this GB. Last edited by Dr M3an M3; Fri, Jun-16-2017 at 12:50:56 AM. They call me M3an for a reason! Let me know if I shall add you to the list. So awesome!! I know one day I will regret not hopping in on this GB but my car is already stealing all my money in every other way hahah. 10+ for the same item or 10+ of mixed products? If the later, can I also get pricing for SS race exhaust and non-res section 2? I have the SS stepped v1 headed with carted section one and they're one of the best mods on my car. Amazing price! The GB King, Nice work!! Last edited by toy4to; Sat, Jun-10-2017 at 03:54:17 AM. Perfect timing! Looking to complete my full SS system and willing to try catless for the summer if this goes through quickly. Any way we could add a header installation kit with gaskets/studs/nuts? Last edited by Rfacteur; Sat, Jun-10-2017 at 04:02:03 AM. Last edited by Mantii; Sat, Jun-10-2017 at 03:41:55 PM. All times are GMT. The time now is 08:18:27 PM.